You selected New Forest Business Category: "Bed, Breakfast"
Description: Bay Trees Bed and Breakfast Milford on Sea Grade II listed cottage on the coast, 5 min walk to sea, three bedrooms, all ensuite, one with four poster bed, one a garden room with patio doors. Lovely covered terrace leading to stunning garden. Description: This Victorian Country House is tucked away on the edge of Brockenhurst Village in the heart of the New Forest. The emphasis is upon luxurious comfort, hospitality and care for our guests. Description: Six ensuite bedrooms with a relaxing atmosphere in the traditional New Forest village of Burley, surrounded by an area of outstanding natural beauty. Quality home-cooked meals, cask-conditioned ales, selection of fine wines. Description: Escape to the Cottage Lodge Brockenhurst, a family-owned 350-year-old forester's cottage set in the heart of the New Forest national park. Description: English Tourism Council Four Diamonds award. Large detached home with six ensuite comfortable rooms. Warm and friendly atmosphere and good food. Lymington High St, Quay and marinas just minutes walk away. Convenient for Isle of Wight ferry. Description: A charming Grade II listed part thatch detached cottage with 17th century origins. 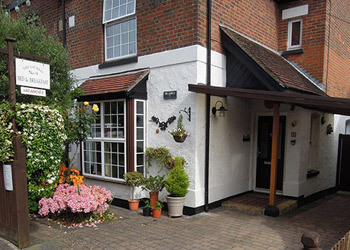 The cottage comfortably sleeps 5 and is within easy walking distance of the village centre. The beautiful interior has been sympathetically and lovingly renovated. Description: We represent the Lymington business community at local, district and regional levels of Government and aim to ensure that our members? views, needs and concerns are understood and acknowledged by key decision-makers. Description: Built in 1899 The Laurels is a family home offering a high standard of clean and comfortable accommodation in a relaxed and friendly atmosphere in the heart of the New Forest. Description: Located in the New Forest National Park, our ground floor en-suite guest rooms are separately located with their own individual entrances, in the beautiful gardens of a Grade II New Forest cottage. Bramshaw village is five miles north of Lyndhurst. Description: Heather Cottage stands on a quiet lane on The New Forest 3 miles from Brockenhurst and Lymington. We have double, triple and twin/single rooms and can arrange a family suite for 5. Well behaved dogs welcome. Description: massive department store in Southampton, excellent quality good at reasonable prices. Description: Beautiful 18th Century Manor House set in the valley of the River Test. Stunning large double bedrooms and excellent breakfasts. Only 15 minutes drive to the New Forest and close to the market town of Romsey. Room rates from £95.00 including breakfast. Description: Little Paddock offers 4 star accommodation in either our small exclusive bed and breakfast or our 9 luxury wooden Lodges, ideal for couples- woodland setting. We also are a small Caravan Club 'CL' site. Relax in our swimming pool, sauna or hot tub. 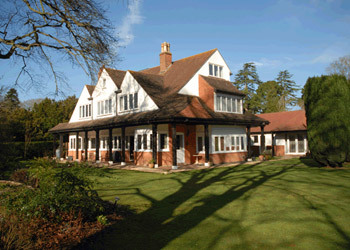 Description: Delightful self-contained apartment for 4 in the heart of the New Forest. Double bedroom and bathroom and fully fitted kitchen. Pretty lounge with two double sofabeds, plasma TV, DVD and wireless internet. All with stunning views of the forest. Description: As the oldest and the largest holiday cottage letting agency in the New Forest, we�re certain that we can help you find the perfect place to stay. Description: The Red Lion is an 18th century pub which lies in the heart of the traditional village of Milford-on-Sea. Along with having open log fires in winter, there is a large, secluded beer garden for the summer months as well as parking to the rear. Description: Tiverton is a chalet bungalow in a quiet cul-de-sac offering ground floor and first floor suites. Both suites have ensuite facilities and private sitting rooms with television, video, hairdryer, fridge, tea and coffee making facilities. Description: Sue and Brian welcome you to Woodpeckers family run Bed and Breakfast in Hampshire, offering you luxury accommodation with the guarantee of a home from home atmosphere in a wonderfully relaxing rural location, tucked away at the end of a country lane. Description: Situated in a quiet country lane. Spacious comfortable double room (+2) with ensuite facilities. Access to patio, 2 acres of gardens and swimming pool. Enjoy a relaxed family atmosphere. You can bring your own horse too which can stay in our paddock.